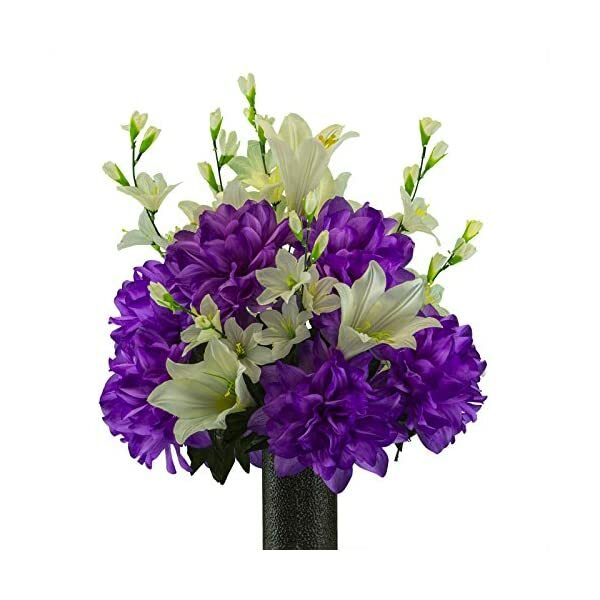 – Top: 20 – 24 inches – Cemetery association is for a cemetery flooring vase – Includes a vintage mixture of natural white Easter lily, red dahlias, and greenery – Contains our Keep-In-The-Vase(c) layout With our Keep-in-the-Vase(c) layout, you not have to fret approximately your association blowing out of the vase nor the effort of froth. Every software comes with a percent of extensions to stay your vegetation great and comfortable inside of its box. NOTE: This association is designed to suit into your cemetery flooring vase. No vase is integrated with this association.